Happy Friday! | Nicki Kinickie Nicki Kinickie: Happy Friday! So today is meant to be unlucky then? 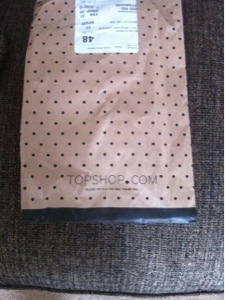 Well, my Friday 13th has started off nicely with a little delivery from Topshop.